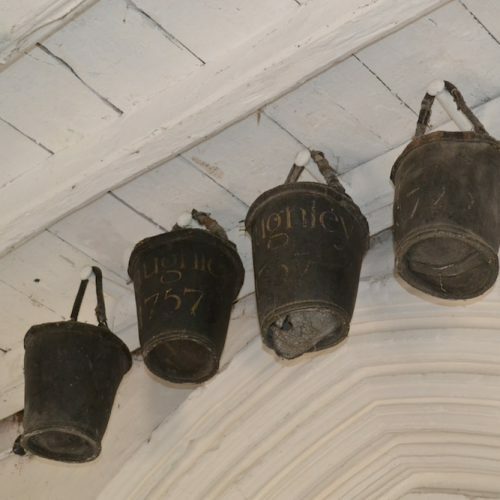 Fascinating 18th century leather fire buckets. Imagine having only buckets to fetch the water from the nearest pond in the case of a fire in the village! 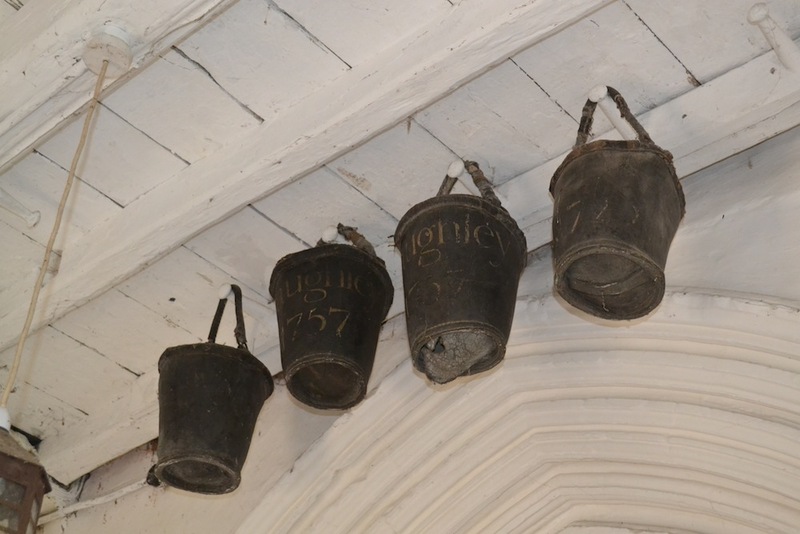 Over 33 buckets used to hang in the porch but these four are now on display in the northwest corner. 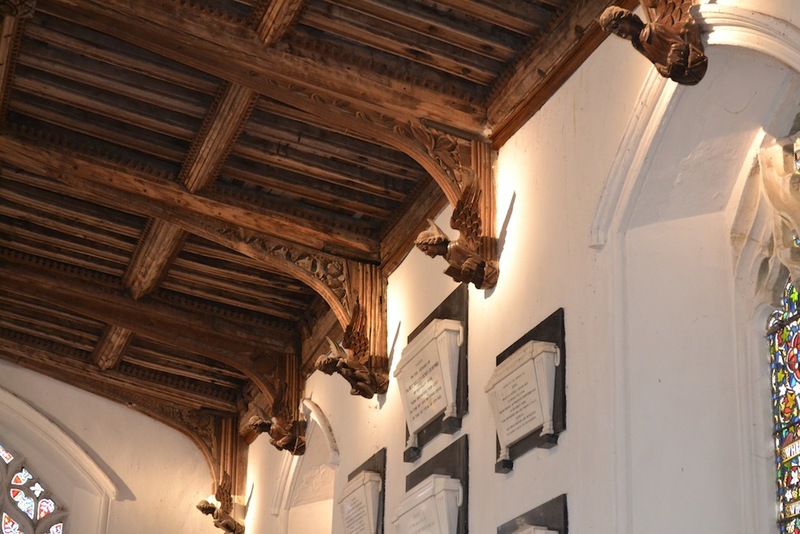 Sections of the nave date back to the 12th century and there is known to have been a church in Haughley in Anglo Saxon times. 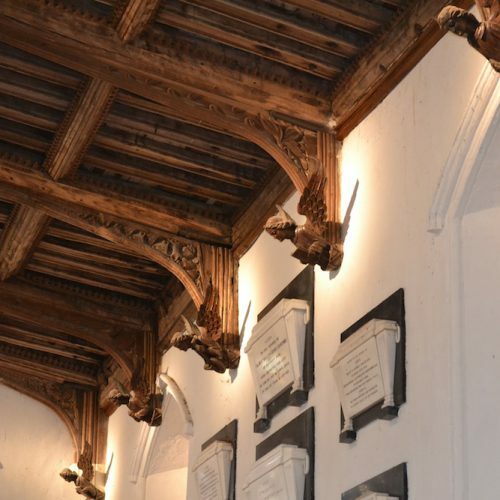 The south aisle was added in the 14th century and, being dedicated to the Holy Cross, attracted pilgrims to the church. 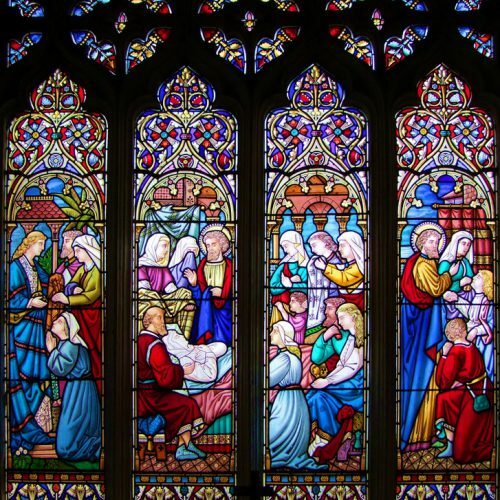 The church is said to have got its dedication from the toy fair that was held in the village every year on the Feast of the Assumption but for many years was known simply as St Mary before the Victorians reverted to what was probably the original dedication. 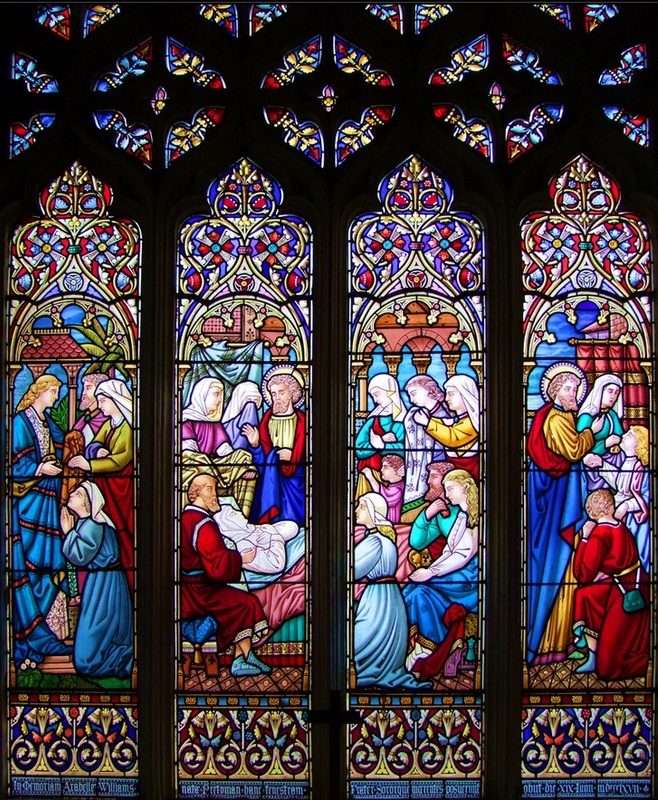 The church is open daily to welcome visitors. 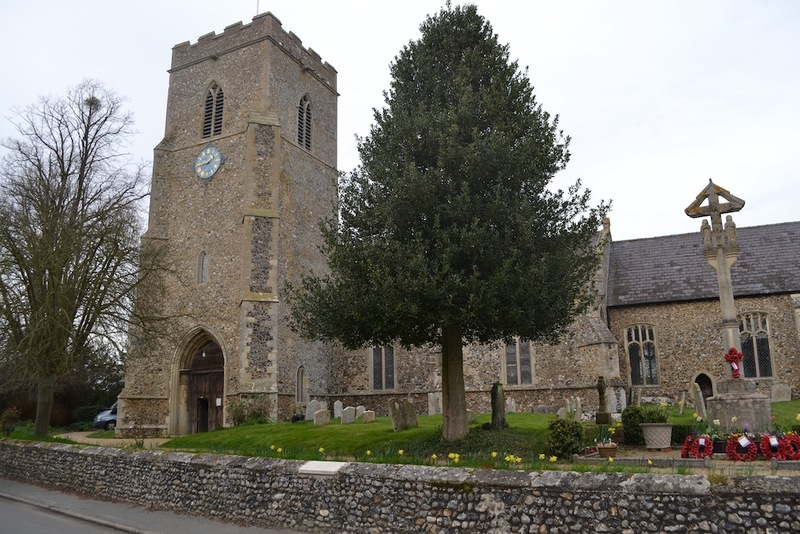 You can take a walk round the village with the help of a Discover Suffolk brochure called Haughley Walks which you can also download from our trails pages. 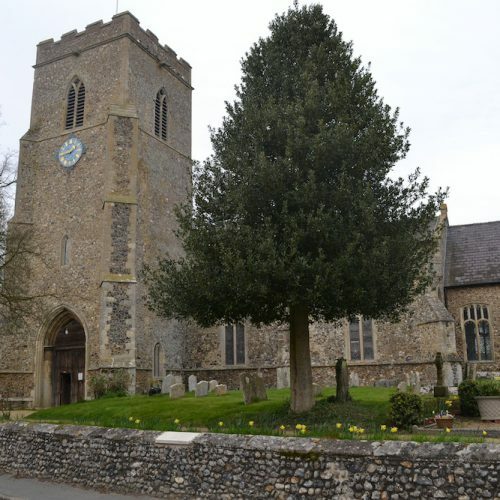 Haughley also adjoins the parishes of Woolpit and Shelland where you can pick up the Angels and Pinnacles trails in the yellow cluster. Haughley is a great place to linger with places to eat and drink, and if you pass the 16th century bakehouse in the early morning, you can enjoy the smell of freshly baked bread where the Palmer family still uses traditional brick ovens.